- Will not rot or mildew and UV resistant. Great for camping and survival use. - 550 paracord is great for making paracord keychains, paracord lanyards, paracord dog collars, and more! Paracord Planet paracord is authentic commerical paracord made in the USA. 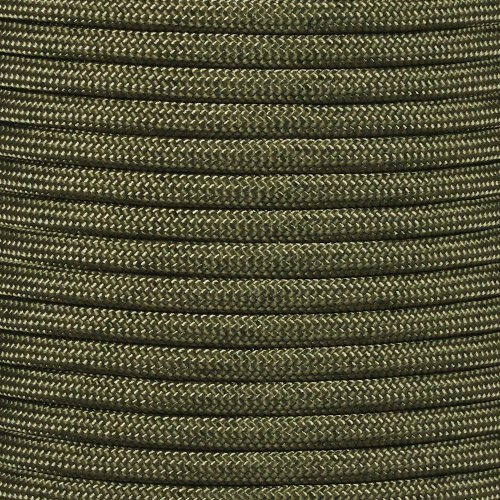 With a 550-lb line strength,7 inner nylon cores, and UV, rot, and mildew resistance, this parachute cord is great for camping, hiking, survival, and much more. Choose from our hundreds of paracord colors to make a variety of things from paracord bracelets to specific paracord knots and weaves. The inner strands can be easily removed and used for quick and convenient repairs while in the outdoors. Paracord Planet paracord hanks are made exclusively by Paracord Planet. If you don't see the Paracord Planet label on your paracord, it is not authentic Paracord Planet parachute cord.